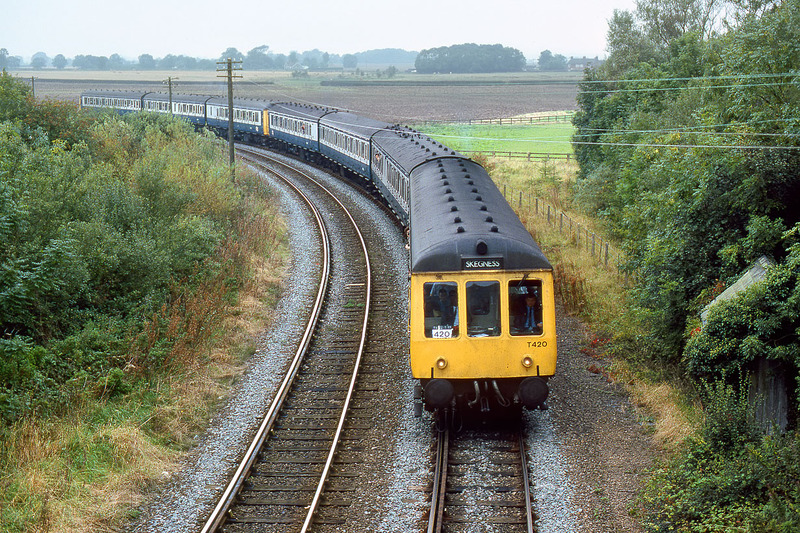 The 08:51 Burton-on-Trent to Skegness service rounds the almost 120 degree curve at Firsby on 17 September 1998. The seven coach DMU combination is made up of Tyseley's set TS420 (with 53092 leading), plus an unidentified three car set. TS420 consisted at this time of 53092, 59607, 59032 & 51892. Therefore the front unit is actually a Class 116/127/116/115 hybrid!